Can you imagine a better director to do a movie about Michael Jackson then Spike Lee? This weekend at the Toronto Film Festival, Lee debuted his documentary about the making of Jackson’s Bad, pegged to its 25th anniversary re-release. It was maybe one of the best music documentaries I’ve ever seen. Lee is not in myth-making mode here. The film concerns itself mostly with talking to people who knew and worked with MJ, teasing out details about the man through making of the album’s songs and music videos. Interspersed are interviews with Mariah Carey, Kanye West, Justin Bieber, Cee Lo Green, Chris Brown, and (best of all) Questlove, who talk about MJ from the perspectives of fans and fellow musicians. We’ve compiled the 25 baddest (and non-spoiler-y) things about the film, which ABC will air on November 22. In no particular order … Shamone! 25. 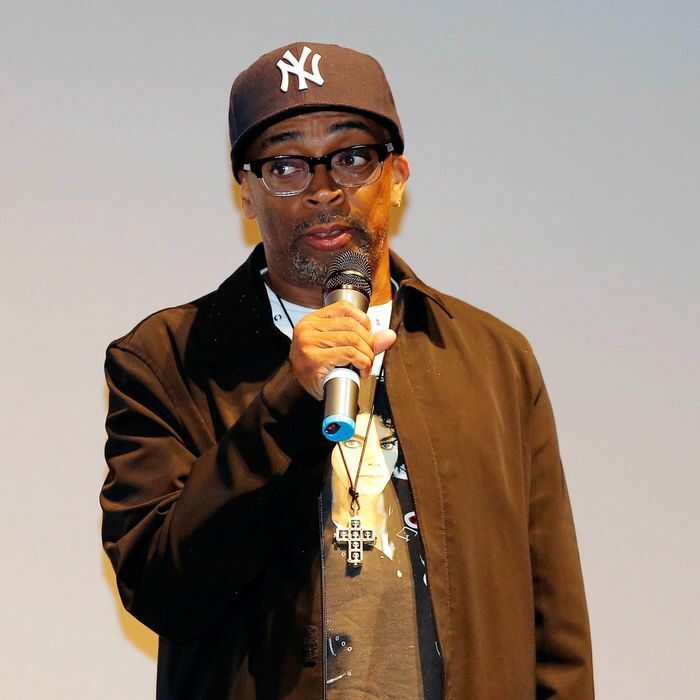 Spike Lee knows his sound levels. The roar of the crowd during extended concert footage of songs like “Man in the Mirror” and “Another Part of Me” is so immersive it feels like you’re actually there. So see it in a theater, or if you’re watching it at home, turn the volume up to 11. 22. Stevie Wonder, interviewed at a piano. He does an impromptu rendition of “The Way You Make Me Feel.” During the Q&A, Spike said he wants to make a documentary about Stevie Wonder. We’re there. 21. The audience actually gasped (in a “for shame,” tsk-tsk kind of way) when it was revealed that the first album to break Bad’s record of five consecutive No. 1 singles was Katy Perry’s Teenage Dream album. 20. The second collective gasp came from seeing Martin Scorsese with dark hair and a mustache and no glasses as the director of the 1987 “Bad” short film. 19. MJ wouldn’t allow anyone to call his videos “videos.” They were all short films. 18. The “Bad” short film was MJ’s way of reaffirming his cred in the black community, so he recruited “the Jewish asthmatic and the Italian asthmatic,” said Richard Price, who wrote the script as a bleak social drama, not knowing it would end in a dance sequence. 16. Seeing the Hoyt-Schermerhorn subway stop, where they filmed “Bad,” back in the day. MJ loved the pee stains everywhere. 12. The alternate ending to the “Bad” video. 11. Learning that “Shamone!” (“Shamon”?) isn’t just a cool way to say “come on,” but MJ’s tribute to soul singer Mavis Staples, who used it in a live version of “I’ll Take You There” in 1975. 9. The original Bad cover was supposed to be Jacko’s face behind black lace, like the famous Gloria Swanson Vogue cover. 7. A photo montage of MJ in his various disguises. He apparently got really excited because he’d been able to go door to door as a Jehovah’s Witness for a full day without getting recognized. 6. Those are real Crips in the video for “The Way You Make Me Feel.” They were so mesmerized by MJ’s dancing that shooting stopped when everyone on set froze just watching him. 5. Footage of MJ in a bathroom imitating four different California raisins. 4. Hearing MJ’s vocal exercises. And learning that he actually had a range of three and a half octaves. He could go down to a low C (bass range) and had a baritone speaking voice, but chose to speak and sing in tenor only. 3. Seeing the “Smooth Criminal” dance sequences next to the Bob Fosse and Fred Astaire moves that inspired them. 2. You will find out who Annie, from the “Smooth Criminal” Annie are you okay? lyric is. You will never find out how they did the lean. 1. Not going to say how Spike does it, but you will cry about his death all over again.